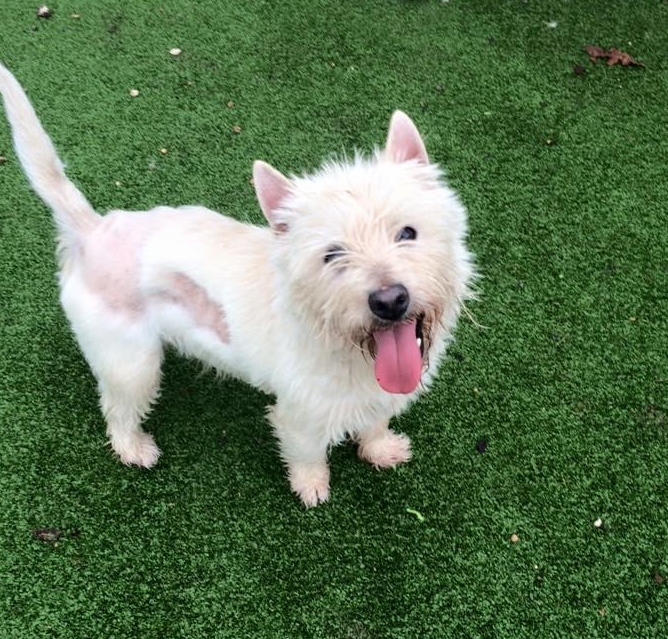 Reggie was brought into our branch as a stray, he had had his skin shaved but after a visit to our vets and having his skin scraped and checked he has the all clear, his fur is starting to grow back but will take time. 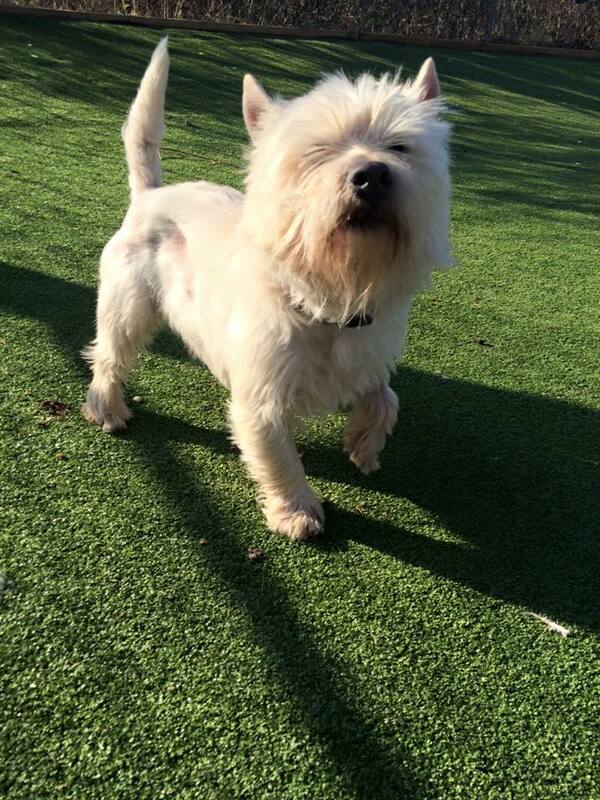 Reggie gets on well with the other dogs at the kennels and enjoys playtime in the paddocks with his mates. Reggie keeps his kennel clean at night. On his walks with one of our dog walkers she has advised us that he does like to roll in fox poo !!!!. Reggie is a very easy going dog. If you would like to meet this gentleman please give us a call.